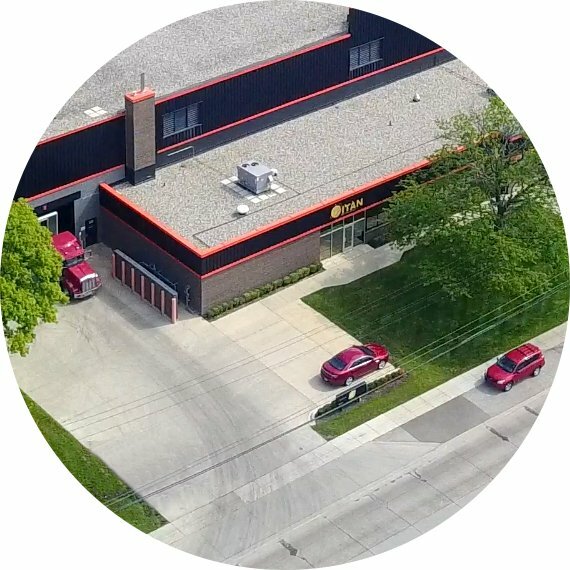 Based in Oak Park, Michigan, Titan Metallurgy is dedicated to providing a practical understanding of your metals testing needs. We’ve been an independent laboratory since 2003, but we originally operated as the in-house metals testing lab for Eaton Steel Bar Company. We still maintain close connections to the company’s steel processing and warehousing operations, helping us serve you better in a multitude of ways. It gives us daily contact with the same real-world issues that our customers face. It reduces our overhead, which in turns lets us offer our metal testing services at prices far below the industry standard. It helps us to complete your metals testing in 24 to 48 hours, so you can resolve any issues with your materials quickly. Eaton Steel Bar Company was founded more than 60 years ago, so our experience in the industry is long and our expertise is deep. When something goes wrong and you need answers quickly, our experience can work to your benefit. Trust the experts at Titan Metallurgy to give you honest, unbiased, service, so you can address what is needed quickly. Our goal is to help your business succeed. 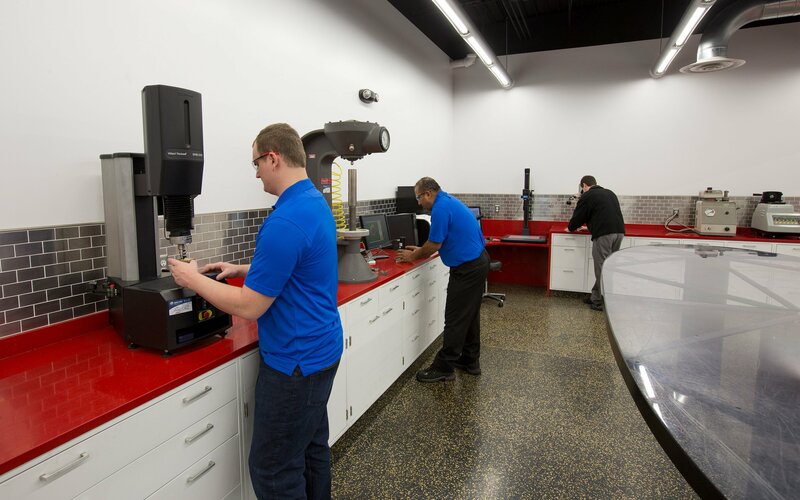 Our Oak Park headquarters has a full suite of equipment for charpy impact testing, tensile testing, rockwell hardness testing, chemical analysis, many aspects of microstructure evaluation, and failure analysis. We have automated equipment to prepare precision samples and meet tight turnaround deadlines. Our most important assets are our people, who provide each of our customers with personal service and the technical expertise to interpret results or analyze failures of any kind. Titan Metallurgy treats all work performed for its customers as confidential and proprietary. Review our standard confidentiality agreement here. Titan Metallurgy is accredited by the American Association of Laboratory Accreditation (A2LA) to the ISO 17025 standard. Find information about our certifications here. As you begin working with us, please also review Titan’s terms and conditions here.